On the streets of Dublin, werewolf Liam O'Sullivan fell in love with Caitlin Brannigan...only to receive her suicide note days later. Lost in sorrow on the 11th anniversary of Caitlin's death, he meets a mysterious woman whom he can't resist. In her arms, he discovers the secret that sent his love running from him long ago - and the truth behind her death. With his pack still recovering from a fire elemental's brutal attempt to destroy them, Liam's walking a tightrope, trying to keep the werewolves from fracturing at the seams, and his romantic alliance with Bella Pond makes him an enemy. Soon, a threat bigger than anything they could have imagined comes crashing down, turning elemental against elemental. As Liam and Bella race to find a way to stop the darkness of her past from unraveling into chaos, werewolves start disappearing, one by one, and reappearing in pieces days later - and only Bella knows why. Will Liam and Bella find the ancient magic that may be their only hope? Or will the tenuous threads of their bond - and the loyalty of those they love - leave them scrambling before the machinations of a madman? 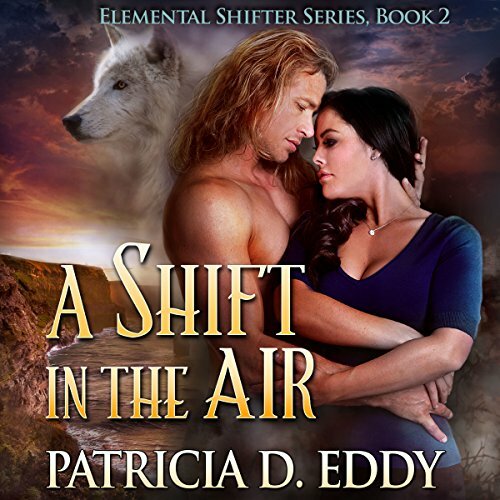 This is the second book in the Elemental Shifters Series. I love this Series! This story is fast-paced, intriguing, and suspenseful. I love the main characters, Liam, a shifter and Caitlin, an elemental. They share a strong and forever chemistry. The secondary characters are also very interesting. I loved to see again Cade and Mara. Now, I can't wait for the next book in the Series, to know what happens next! Tess Irondale did a great job with the narration. I enjoyed my listening.